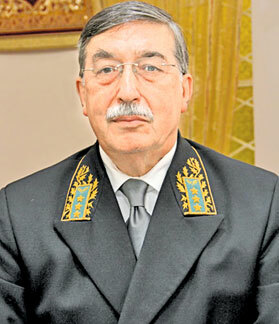 Ambassador of the Russian Federation to Sri Lanka Alexander A. Karchava, made a fervent appeal to the Council to intervene in the government’s decision to ban the use of Chrysotile Fibre in Sri Lanka. He was speaking at the Annual General Meeting of the Sri Lanka – Russia Business Council held recently. Sri Lanka currently imports Chrysotile Fibre from Russia, one of the major mining countries, for the production of roofing materials which are used island wide in construction. This comes hot on the heels of the Cabinet approving a proposal to control the import and use of asbestos from January 2018 and to completely ban the use of asbestos in Sri Lanka from January 2024. The Russian Ambassador stated that he had taken up this matter with the President and the Prime Minister who had assigned the matter over to the Minister for Law and Public Order, Sagala Ratnayake. The Ambassador stated that he had handed over his proposals to soften the country’s stance on this issue without dropping the issue completely, thus helping both sides to come to a mutually acceptable agreement. He even stated that he is willing to bring in a group of experts to Sri Lanka to educate the country on the safe use of Chrysotile Fibre. The same sentiments were echoed by the Fibre Cement Products Manufacturers’ Association (FCPMA), the sole authority representing the leading roofing sheet manufacturers in Sri Lanka, that also voiced it concerns at a press conference organized about a month prior to this statement by the Russian Ambassador. Chrysotile fibre roofing sheets are distributed across 80% of the island, and provide direct employment to over 4,400 Sri Lankans with another 17,500 dependents. It is currently the only roofing sheet produced in the world which is accredited for its durability and economic value. FCPMA along with its member companies extend a fervent plea to President Maithripala Sirisena, the Government of Sri Lanka, all relevant Ministries, the Central Environmental Authority, media institutes and the general public to review these facts before this industry is forced to shut down.